Dr. Jacques Fontaine is a thoracic and cardiac surgeon in Tampa, Florida. He got his medical degree from McGill University Faculty of Medicine and did two fellowships. The first one was at University of Massachusetts and the second one at Brigham and Women’s Hospital. Dr. Fontaine has been in practice for 11-20 years and is board certified in both surgery and thoracic and cardiac surgery. 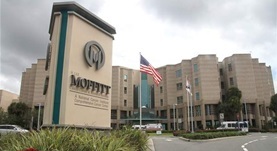 At the moment Dr. Fontaine works at Moffitt Cancer Center.